Chuck Berry, the most influential rock ’n’ roll artist of a generation, will release his first new album in decades next year. On his 90th birthday, we look back at what makes him an icon. Chuck Berry is the greatest rock ’n’ roll artist of his generation. Elvis Presley may have become the hyper-branded icon and Little Richard may have the larger-than-life persona, but it’s Chuck with the richest body of work. His distinctive guitar riffing made him a fixture on the charts in the 1950s and it made the instrument rock ’n’ roll’s definitive symbol. Unlike Elvis, Berry wrote and played his classic tunes, and unlike Richard, Berry managed to extend his career past his 1950s run with a string of strong singles in the early 1960s. Berry’s influence is impossible to overstate—as a songwriter, lyricist, and guitarist, he’s the most complete summation of what “rock ’n’ roll” is at its purest. Berry isn’t the first rock ’n’ roller by any stretch or distinction. Sister Rosetta Tharpe’s flashy guitar leads were featured on hit records as far back as 1939. Wynonie Harris’s kinetic brand of jump blues hit the charts in the mid-1940s. The Ike Turner-penned Jackie Breston hit “Rocket 88” was released in 1951, Big Mama Thornton’s “Hound Dog” was a hit in 1953, and the Big Joe Turner version of “Shake Rattle & Roll” charted at No. 22 on the Billboard chart in 1954—with Bill Haley’s version going to No. 7 just three months later. Even Elvis Presley’s debut, his famous 1954 cover of Arthur “Big Boy” Crudup’s “That’s Alright,” predated Chuck Berry’s classic debut single “Maybelline” by a year. But Berry is undoubtedly rock ’n’ roll’s greatest creative voice. No singular artist did more to shape the sound, image and attitude of rock ’n’ roll music, and no figure mainstreamed that sound more successfully than the man born Charles Edward Berry. Combining his swift-finger bluesy leads with an emphasis on country-inflected melodicism and a knack for clever wordplay and storytelling, Chuck’s winking story songs like “Sweet Little Sixteen” and “Beautiful Delilah” had Little Richard-level energy. But instead of banging away on a piano, Chuck’s guitar was always front-and-center—both musically and visually. Chuck Berry had broken into the music business by gigging regularly at the Cosmopolitan Club in his hometown of St. Louis, playing in the Sir John’s Trio alongside pianist Johnnie Johnson. It was Johnson’s style that would inform Berry’s distinctive riffs on guitar, and Berry himself explained that his sound came from a myriad of influences. Berry’s performances were famously high-energy, with his distinctive “duck walk” becoming a rock ’n’ roll mainstay. Having been forged in the tradition of black music, Berry would later reflect on why he thought it important to be so visual. Berry presented rhythm ’n’ blues showmanship to a white audience that had largely been unaware of it before the mid-1950s. Berry’s music was also undeniably youthful. Songs like “Sweet Little Rock & Roller” and “Too Much Monkey Business” were playfully bawdy but emphasized a youth culture centered around dancing, rock ’n’ roll music and cars, echoing the kind of breakthrough that Bill Haley had enjoyed with “Rock Around the Clock” after the song was featured in Blackboard Jungle in spring 1955. That song became a cultural touchstone in the mainstreaming of rock ’n’ roll and the marrying of the genre to American youth culture. And Berry was the artist who most fully realized the shift that “Rock Around the Clock” had indicated was coming. During an NBC appearance in the late ’70s, Berry was asked who he would consider the founding father of rock ’n’ roll. That ball would roll right through the British Invasion of the 1960s, the emergence of psychedelic music in the late ’60s/early ’70s, frenetic punk riffs that emerged later in that decade, and the glossy hard-rock tunes popularized for the MTV generation in the 1980s. Chuck Berry is rock ’n’ roll’s pulse. He’s been embedded in the genre’s very DNA since 1955. The late 1950s and early 1960s saw Richard walking away from rock ’n’ roll to pursue Christian ministry, Buddy Holly’s death in a plane crash, Presley drafted into the Army, and Jerry Lee Lewis being blackballed. In 1959, Chuck Berry was arrested under the Mann Act, which made it a felony to engage in interstate or foreign commerce transport of “any woman or girl for the purpose of prostitution or debauchery, or for any other immoral purpose.” Berry met a 14-year-old girl in Juarez, Mexico, and would claim that he’d simply offered her a job at his nightclub in St. Louis. She went to the police and Berry was arrested, and subsequently convicted in 1960. Sentenced to five years, Berry successfully appealed his conviction, citing disparaging and racist remarks made by the judge. Nonetheless, Berry was again convicted following a retrial in 1961 and sentenced to three years at the Federal Medical Center in Springfield, Missouri. For years, Berry would deny that he’d gone to prison. While he would never again be the rock ’n’ roll rebel icon he was in the 1950s, Elvis returned from the Army in 1960 to a burgeoning film career. Upon his release from jail in 1963, Berry had no leading-man roles waiting, but he would return to the charts with singles like “Nadine,” “No Particular Place to Go” and “You Never Can Tell.” Like so many of his classic hits, all of these songs were written by Berry. Unlike virtually all of his ’50s peers, Berry was still able to deliver career-defining songs in the ’60s following his prison stint—songs that weren’t uninspired pop or re-workings of older ideas. “Promised Land” was a song that featured Berry subtly incorporating social awareness into his lyrics. The song refers to several cities where the Freedom Riders stopped in May 1961 as they rode buses through the South in protest of Jim Crow. “He was stopped [throughout the South],” Berry biographer Howard DeWitt once explained. “But he kind of flipped a middle finger in their face.” Berry was pragmatic about making songs that could attract mass audiences—and long after his peers were past their primes, it was clear he still knew how to do just that. “You don’t just go to the studio and say, ‘I’m going to write a hit.’ It becomes a hit when people like your compositions,” as Berry explained to Esquire in 2007. Berry has always been unapologetically business-minded (“Respect isn’t enough. You’ve got to have a proprietary interest”), and fiercely autonomous. For much of his career, he’s managed his own business affairs and frequently traveled alone; he demands that concert promoters provide a backing band for his shows. In the late 1950s, he purchased a 35-acre plot in St. Charles County where he would subsequently build Berry Park, a sprawling compound with a 17,000-square-foot mansion, guest cottages, a nightclub and a swimming pool shaped like a guitar. It’s a testament to his vision and determination. 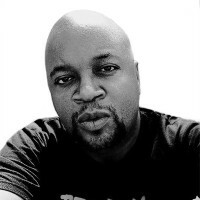 Berry has made money from the top-selling covers of his songs that are featured on albums by British Invasion acts, his touring, and other business endeavors over the years. He’s been a steady performer for decades, though health issues have forced him to scale back in recent years. In 2012, he explained that his voice just isn’t there anymore. But despite his claims in 2012, Berry is celebrating turning 90 with new music—his first new album in 38 years. Featuring collaborations with his children, the album is Berry’s belated follow-up to 1979’s Rock It and is dedicated to his wife of 58 years, Thelmetta. If this is the last recording from Chuck Berry, he’s more than earned his down time. Before the upheaval of the 1960s simultaneously made rock ’n’ more eclectic and more diluted, the definitive template of the genre was forged via Chuck Berry’s sound. But more than that, he became rock ’n’ roll’s greatest ambassador. There was no “Fat Elvis’ period for Chuck Berry. Pick a year and you’d see him delivering vital, honest rock ’n’ roll on a stage somewhere. And pick any artist and you can see where his lineage courses through popular music. The Beach Boys’ “Surfin’ USA” was a rip of Chuck’s “Sweet Little Sixteen.” The Beatles covered Berry in their early shows and recorded covers of “Rock & Roll Music” and “Roll Over Beethoven.” Bob Dylan cited Berry’s “Too Much Monkey Business” as the inspiration for “Subterranean Homesick Blues.” It’s impossible to not hear a song like “Memphis” as a touchstone for Paul Simon’s songwriting. And The Rolling Stones’ first single was a cover of “Come On,” Berry’s last single before prison. In 1969, Berry was interviewed by Rolling Stone and, after discussing the impact of Les Paul on his playing (“I suppose he’s a jazz musician. His ‘How High the Moon’ is just beautiful”), he was asked about his own impact on disciples like Mick Jagger. Berry scoffed at the Stones frontman. Berry would interact with those inspired by his music on a fairly consistent basis. He appeared on The Mike Douglas Show in 1972 with John Lennon and Yoko Ono for a rousing performance of “Johnny B. Goode.” In Hail! Hail! Rock & Roll, the rock ’n’ roll legend was honored by Bruce Springsteen, Etta James, Eric Clapton, and Keith Richards. Berry and Richards would develop a love-hate relationship forged in both respect and frustration. In 2014, Richards recalled during an appearance on The Tonight Show With Jimmy Fallon an incident where Berry punched him in the face. “If it’s sweetness and light, everyone kissing on the lips, it’s not that interesting to me,” he continued. “These were two strong personalities. The pupil and the mentor, and in this case Keith was the leader of the band, and he put together a great band. Keith forced Chuck to rehearse, and he didn’t like that. But there was a mutual respect." Friends and associates have had to wrestle with the duality of Berry’s personality; just as fans have been forced to face the more sordid elements of his past and legal history. Alongside his early 1960s conviction, Berry would serve time in the late 1970s for tax evasion and, in 1989, Berry was sued by Hosana A. Huck, a former cook at Berry’s Southern Air Restaurant in suburban Wentzville. The suit accused Berry of creating videotapes of her using the restaurant’s bathroom “for the improper purpose of entertainment and gratification.” In 1990, the rocker’s home was raided and authorities found videotapes, marijuana, weapons, and cash. Shortly thereafter, he was sued by several other women who accused Berry of videotaping them in bathrooms on his property. Berry would settle the videotape suits for roughly $1.3 million in 1994. Honoring Chuck Berry, as with so many other icons of his generation, comes with more than a little baggage; but as the legend turns 90, it’s important to celebrate the richness of his legacy—warts and all. We have always taken Chuck Berry for granted. He emerged from every scandal still Chuck. He didn’t die young in some mysterious tragedy, never became a reclusive genius and hasn’t been omnipresent at award shows and TV tributes. He’s just always been out there, rockin’ and a-rollin’ and playin’ guitar just like he’s ringin’ a bell. We should give him his flowers while he’s still with us. He fought hard enough for them. “It amazes me when I hear people say, ‘I want to go out and find out who I am,’” he told Esquire in 2007. “I always knew who I was.